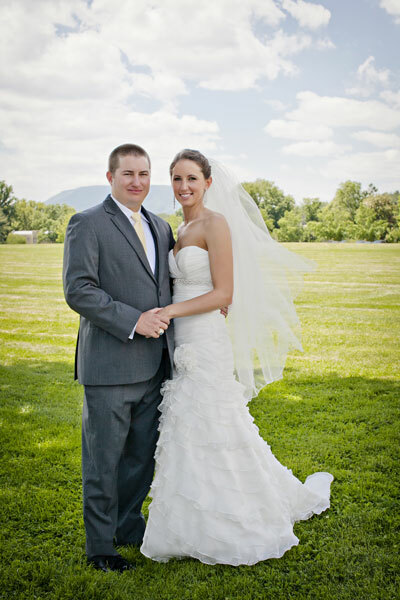 Chase and Caitlin met in college, where she was a junior at Roanoke College and he was a senior at VMI. One day, after she and Chase were living in Buchanan, he took her on a ride on the parkway. At an overlook area, he asked if she wanted to step out for a walk. Due to the cold weather, she declined and he improvised by proposing in the car. They went back down the mountain to celebrate with friends. 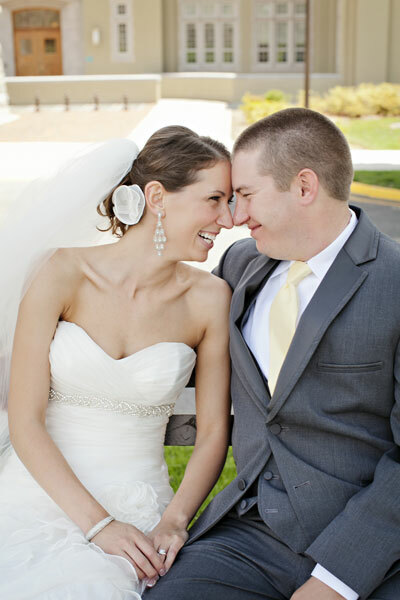 Caitlin also says that on their wedding day, they did a "First Look" and it was "the best decision we could have made." They were able to share alone time and calm their nerves, as well as had pictures taken so they could enjoy other aspects of the day. 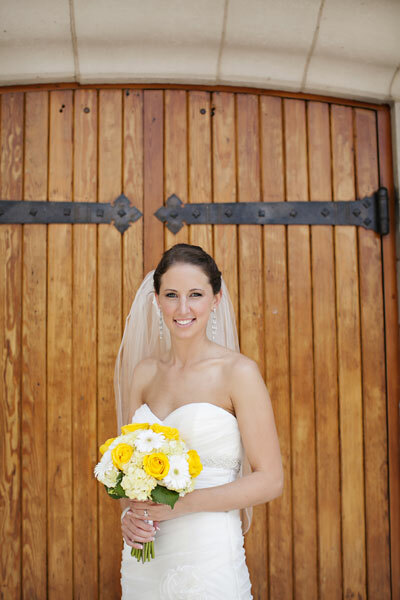 A yellow and gray color scheme lent a classic feel with modern flare. 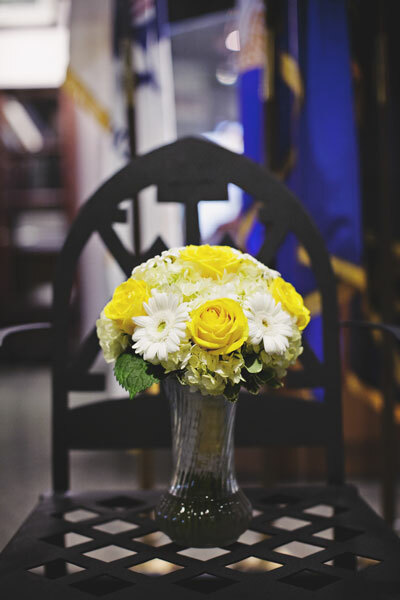 Their favorite Lexington restaurant catered their day with Caitlin's favorite salad; they also had cupcakes in four flavors, and a groom's cake in the shape of a beer mug with the VMI logo. Caitlin says her favorite memory of the day was having her family and friends in one place at the same time, as they are so spread out. Chase and Caitlin found out on the day of their wedding that the offer they'd put on their future home had gone through (hooray! ), so they spent a few days in New York for their honeymoon. Chase, an LA Dodgers fan, caught a game in Yankee Stadium and they also spent a few days in Times Square. 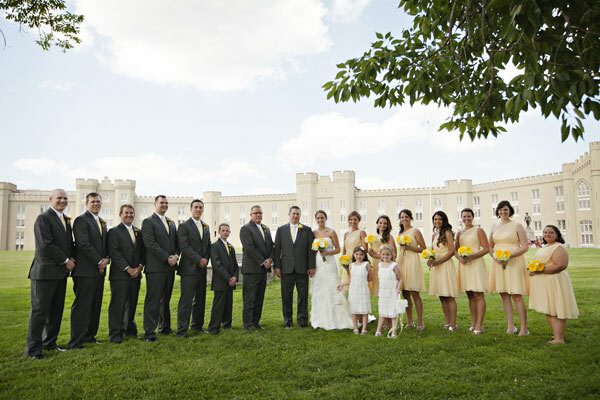 Be sure to see the Perry wedding on page 48 of the second issue of bridebook, on newsstands now!